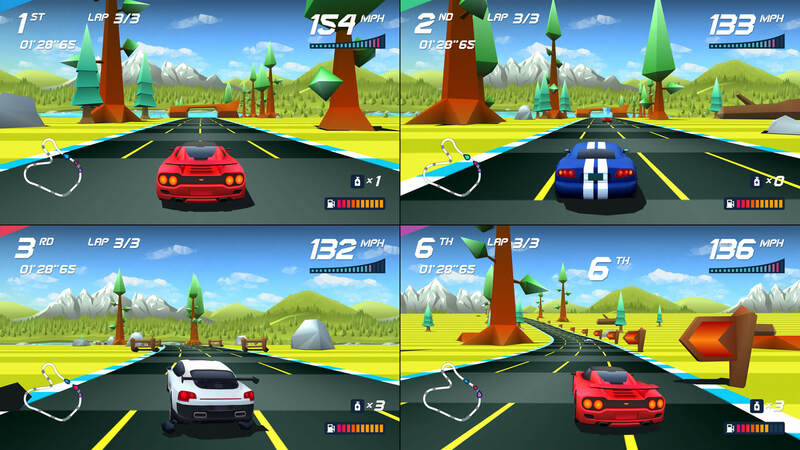 Horizon Chase Turbo is a racing game inspired by the great hits of the 80&apos;s and 90&apos;s: Out Run, Top Gear, Rush, among others. 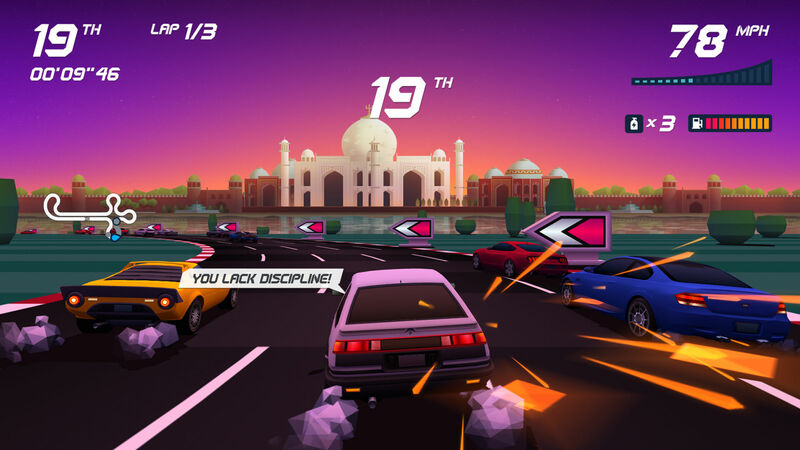 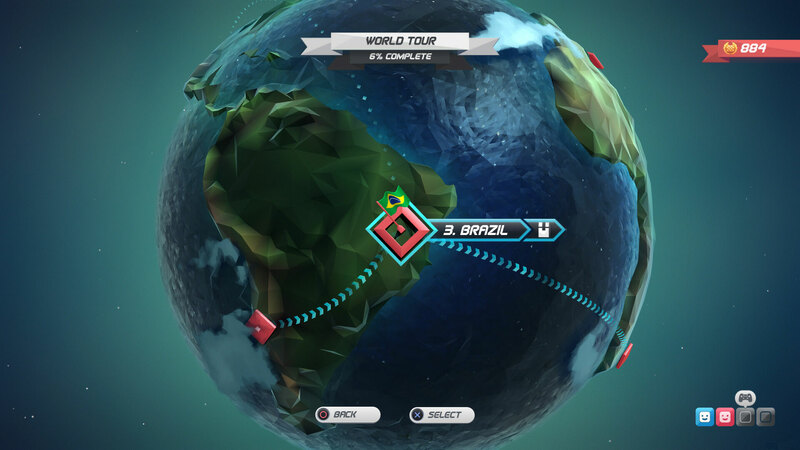 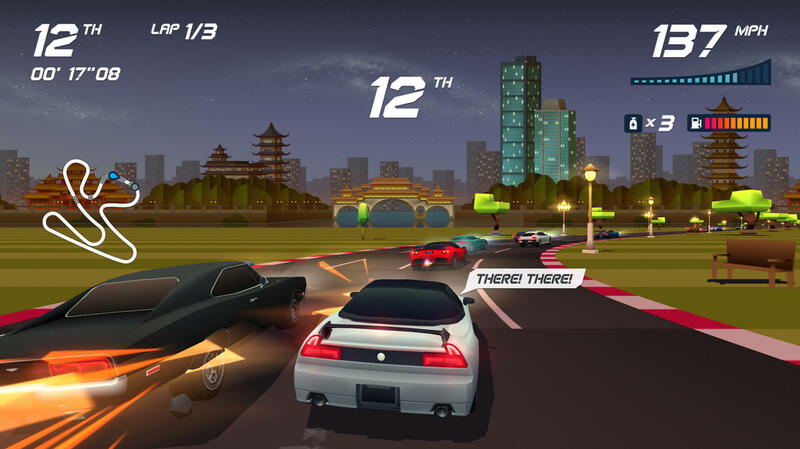 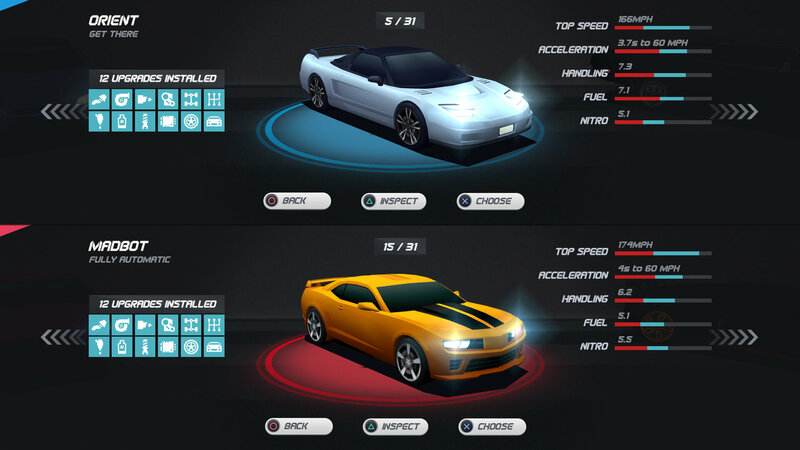 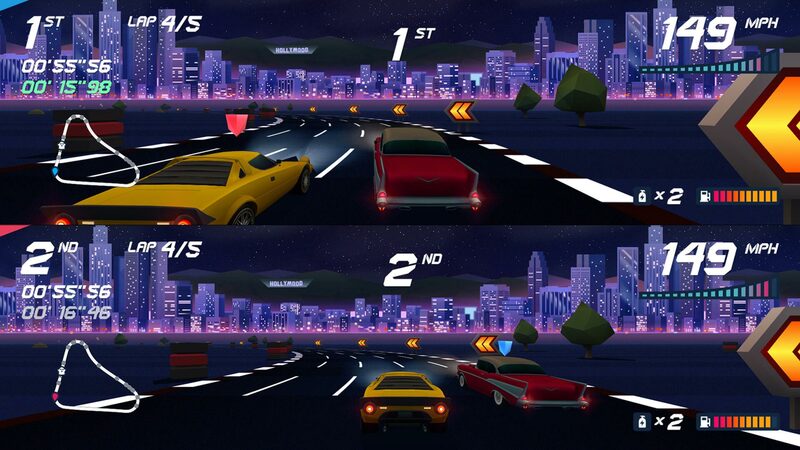 It recreates classic arcade gameplay and offers you unbound speed limits of fun. 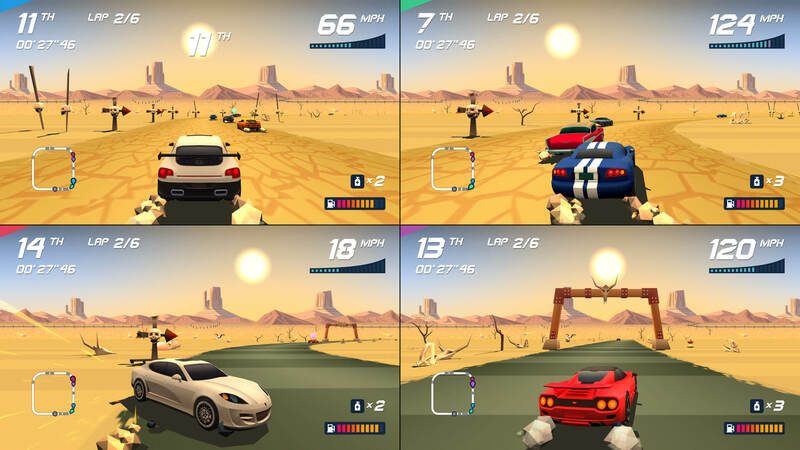 Horizon Chase Turbo offers a Multiplayer Split Screen mode that rescues the nostalgia of playing with your best friends sitting on a couch all night long. 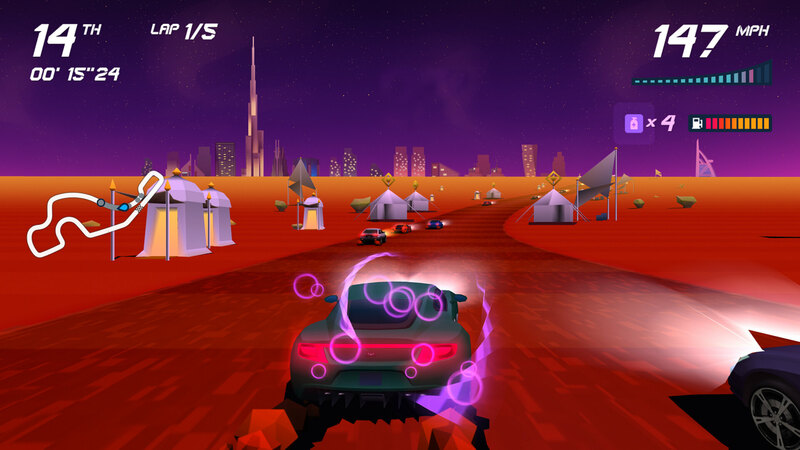 Horizon Chase Turbo is inspired in the past without letting go of its contemporaneity. 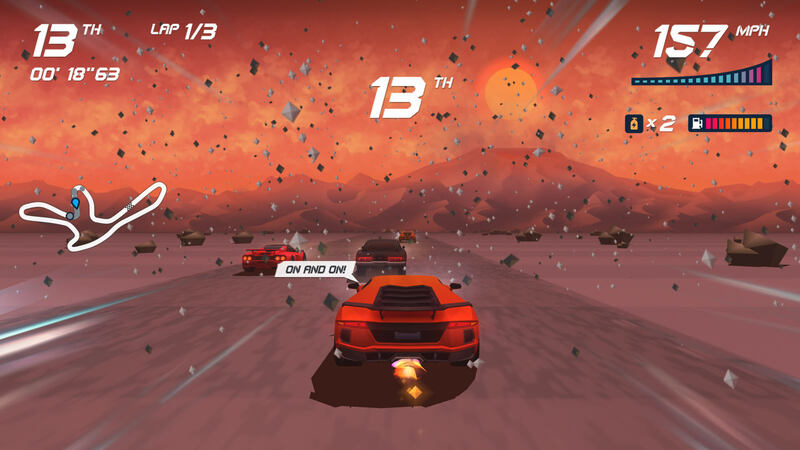 You&apos;ll pilot your car through extraordinary places, watching the sun setting, facing rain, snow, volcanic ashes and even severe sandstorms. 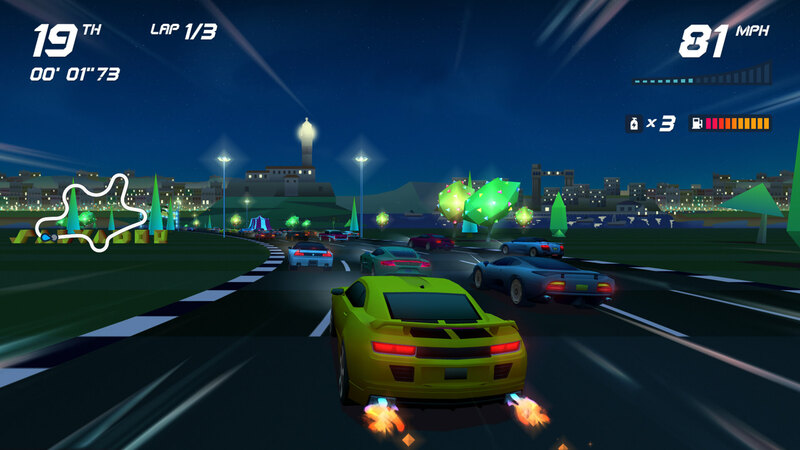 Horizon Chase Turbo presents Barry Leitch, the musician behind the soundtracks of classic arcade racing games Lotus Turbo Challenge, Top Gear and Rush.